High-resolution sequencing study emphasizes importance of rare variants in disease. The human genome has been busy over the past 5,000 years. Human populations have grown exponentially, and new genetic mutations arise with each generation. Humans now have a vast abundance of rare genetic variants in the protein-encoding sections of the genome1, 2. A study published today in Nature3 now helps to clarify when many of those rare variants arose. Researchers used deep sequencing to locate and date more than one million single-nucleotide variants — locations where a single letter of the DNA sequence is different from other individuals — in the genomes of 6,500 African and European Americans. The findings confirm their earlier work suggesting that the majority of variants, including potentially harmful ones, were picked up during the past 5,000–10,000 years. Researchers also saw the genetic stamp of the diverging migratory history of the two groups. 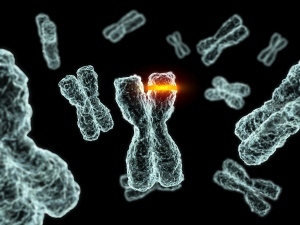 Akey and his colleagues were able to dig out genetic variants occurring in less than 0.1% of the sample population — a resolution that is a full order of magnitude finer than that achieved in previous studies, says Alon Keinan, a statistical geneticist at Cornell University in Ithaca, New York, who was not involved with the study. Of 1.15 million single-nucleotide variants found among more than 15,000 protein-encoding genes, 73% in arose the past 5,000 years, the researchers report. The researchers found that the European Americans had a larger proportion of potentially harmful variants — probably an artefact of their original migration out of Africa. The first small group of humans that left Africa for Europe experienced a sudden drop in genetic diversity — a ‘bottleneck’ — owing to the smaller pool of possible mating partners. In the rapid expansion in population size that followed, selection was slow to catch up to and weed out potentially harmful mutations. More broadly, the results suggest that humans are carrying around larger numbers of deleterious mutations than they did a few thousand years ago. But this doesn’t mean that humans now are more susceptible to disease, says Akey. Rather, it suggests that most diseases arecaused by more than one variant, and that diseases could operate through different genetic pathways and mechanisms in different people. The findings further undermine the idea that common diseases are caused by common variations, says Sarah Tishkoff, a geneticist at the University of Pennsylvania in Philadelphia. When genomics researchers first began looking at the genome for links to diseases, that was their assumption, but they quickly saw it fall short (see Nature 456, 18–21; 2008). “This type of study nails home the point that we need to be looking at rare variation,” Tishkoff says. As it becomes cheaper and easier to sequence individuals’ genomes, researchers are likely to see finer genetic patterns and trends in the coming years. They could even see patterns of ancestry within just a few generations, says Akey. Tennessen, J. A. et al. Science 337, 64–69 (2012). Keinan, A. & Clark, A. G. Science 336, 740–743 (2012). Fu, W. et al. Nature Advance online publication, http://dx.doi.org/10.1038/nature11690 (2012).